Remember my last Los Angeles interview with Music Video and Film Director- Max Albert? If you don’t remember, the one aspect that drew me to interview this young thriving individual in was his multi-dimensional role in the industry and how focused he was at such a young age. His latest project will blow you even farther away than his last few (his previous work includes music videos for Andy Milonakis, Bobby Brackins, DollaBillGates, work with Common, Stunnaman, Riff Raff Taylor Sella, Young Money Cash Money, independent films, season trailers, a thriving mens website- Gentlemenslodge.com and much more). 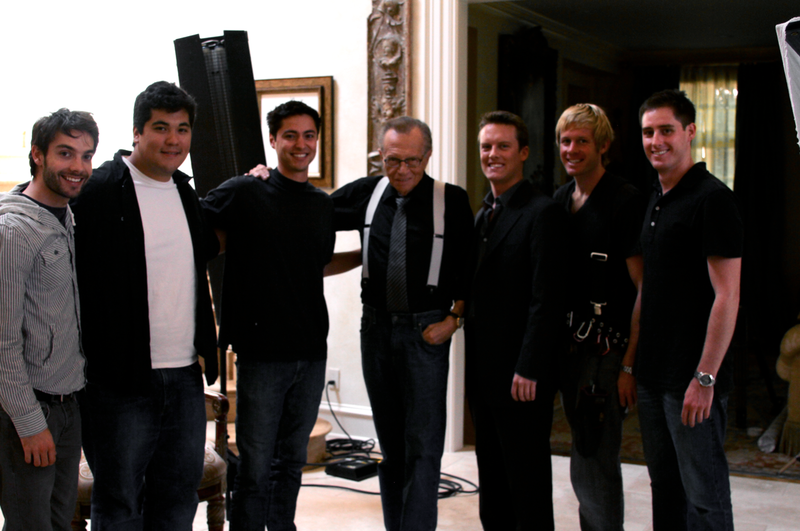 A CNN Special interview with the “man who needs absolutely no introduction”, Larry King. Max has now been acknowledged as the youngest in CNN history to direct and produce a special. The interview (now can be viewed on Max Albert’s direct Youtube) was conducted back at the end of September (the project I have been waiting patiently to find online for the past month). It goes through his many experiences and endeavors working in broadcasting for fifty four years. It was Max Albert that directed and produced this special, which aired after King accepted the Lifetime Achievement Award at the Emmy’s. The interview took place at Larry King’s home in Beverly Hills, CA. Some of the intriguing points King touches upon include changing his name to Larry King– for broadcast purposes and then legally, his advice and secret to being successful, the smartest man he ever met, his love of baseball, the downsides to fame, and then receiving the best compliment from Frank Sinatra. He also speaks about his experiences with and knowing Martin Luther King Jr. his thoughts on racism, Ted Turner, Bill Clinton, the aftermath of 9/11 on CNN and heart surgery. The interview is an eye opener for today’s generation of individuals struggling to make ends meet and turn their dreams into everyday reality. It was clear in my last interview with Max, getting what you want is no easy task, but is definitely possible if you are willing to make the sacrifices in the beginning. Leave comments below on your thoughts of Max’ work!